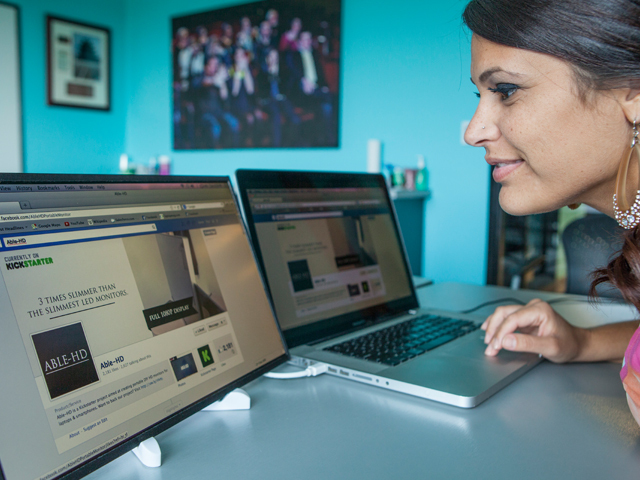 Ever wish you had a second monitor for your laptop that is lightweight and can easily fit into a bag? This was my thought when inventing Able-HD. I often found that monitors are too bulky, no matter how slim they claim to be. Today, most people choose to use a laptop, tablet or other gadgets. I currently use a laptop because it's good with a mobile working environment, it's portable and most importantly it fits in my bag. But how does it help with productivity? I usually have two or three monitors working in my office. It's impossible for me to travel with my second or third monitor in my bag along with my laptop. Thus, the problem with a laptop is limited portable productivity. In this case, what if there was a monitor that weighed less than an iPad, with a 17" inch screen and comes with HD 1080p resolution? 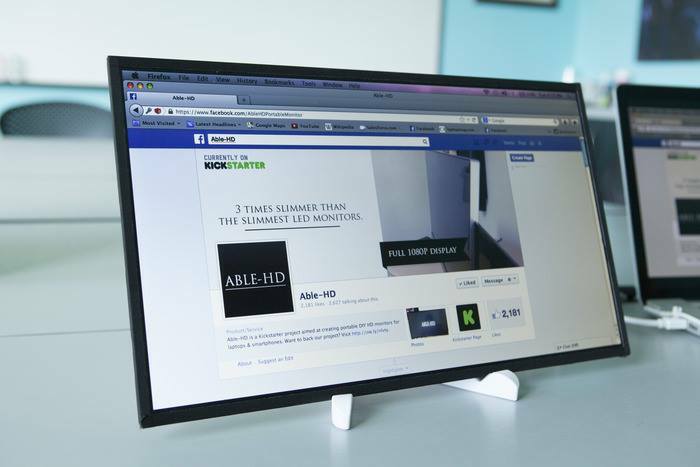 The Able-HD is three times slimmer than any LED monitor in the market right now, and has the lowest price. 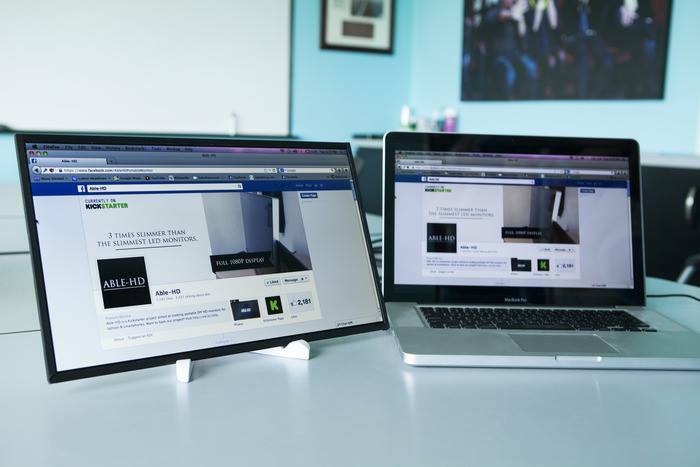 The Able-HD is a monitor that gives you HD 1080p resolution, is 17" inches but weighs less than iPad. 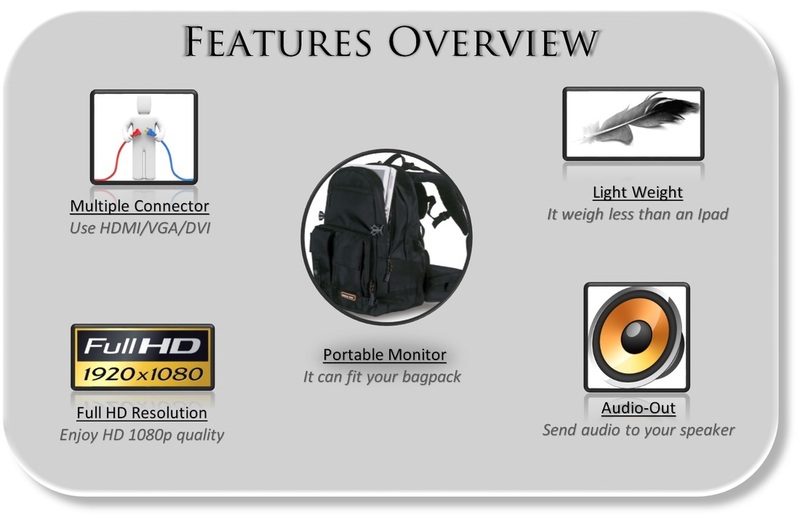 The Able-HD is a good companion for your laptop -- it fits in your backpack, can be placed beside your laptop and travels easily. 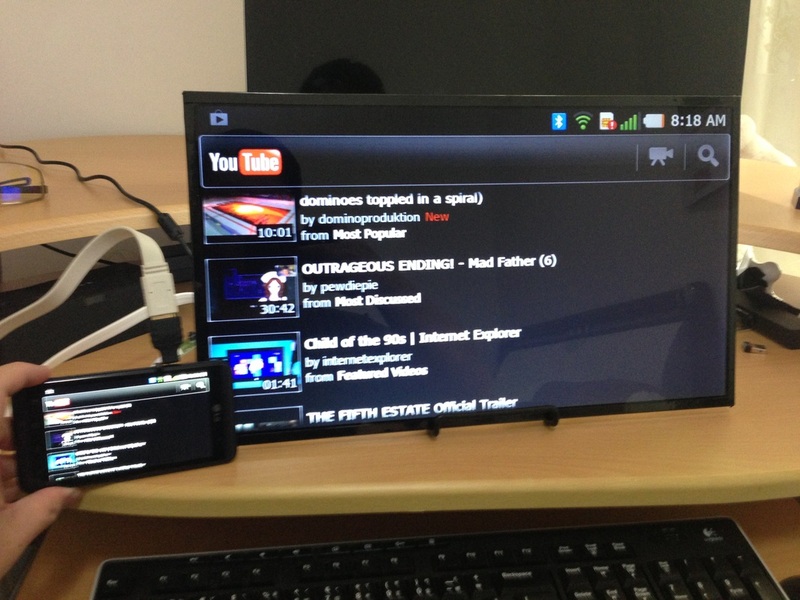 The Able-HD monitor can even be used to watch movies from your smartphone or DVD player. Just think of the Able-HD as an ordinary monitor but slimmer, lighter and still able to provide same HD quality as big bulky monitor! 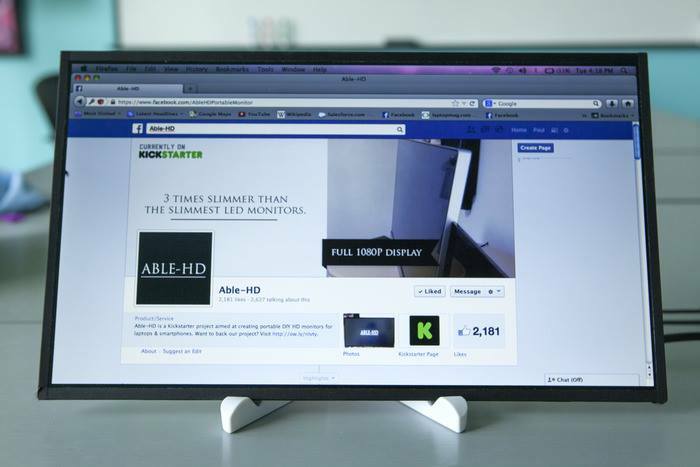 "If you absolutely must have that second monitor , Able-HD might have a Kickstarter for you."